Private lessons are a VITAL ELEMENT in a student’s musical life. The opportunity to study privately with a professional musician is one of the most important factors to individual student success. These professionals provide detailed, specific, one-on-one instruction tailored for your child. Private lessons challenge the advanced students and accelerate students who need extra attention. Of the students who make the Texas All-State Band, roughly 97% take private lessons! If you are not currently taking lessons, please consider doing so!!! Private lessons are offered as an enrichment activity and are NOT REQUIRED, but please consider private lessons as an essential part of the band program. The cost of the weekly private lessons are $20.00 per lesson and are paid directly to the teacher and not to the band. Please pay a month in advance. Jenifer McKenzie is a professional flutist currently residing in Garland, Texas. She has been a member of the Dallas Opera Orchestra since 1989, and during that time, has also pursued an active free-lance schedule, performing for a wide variety of audiences. Many of the programs she has developed are “Meet the Instrument” programs for young school children, and music education programs for adults. Ms. McKenzie has always enjoyed teaching private lessons to all ages of students and currently maintains a large private studio. She has also taught on the faculties of California State University, Fullerton; University of Veracruz, Mexico; Texas Women's University; and Texas A&M University, Commerce. She has extensive experience in conducting flute clinics and master classes, judging competitions, organizing and conducting flute choirs and teaching summer flute camps. She holds a Bachelor of Arts Degree in Education from California State University, Fullerton and a Master of Music Degree in Flute Performance from The Cleveland Institute of Music. Before coming to the Dallas area, Jenifer was Co-Principal Flute for six years in the Jalapa Symphony Orchestra in Jalapa, Mexico. Ms. Rollins has a Bachelor's degree in music performance from the University of Michigan, where she studied under Dr. Nancy Ambrose King, and has Master's degree at the University of North Texas, where she studied with Professor James Ryon. She also served as the oboe studio teaching fellow. Previously, she studied with Ellen Menking of the Nashville Symphony. At the University of North Texas, she performed in the Wind Symphony, and can be heard on several of the ensemble's recordings, frequently on English horn. Ms. Rollins teaches private oboe in Frisco Prosper, and has had numerous students make region bands. During the summers, she teaches at the Bocal Majority camps. She performs often with local symphonies and is a founding member of the reed trio Fenglírë. Jonna Griffith serves as the adjunct professor of bassoon at Texas A & M University-Commerce. Ms. Griffith received music degrees in bassoon performance from the University of North Texas and Southern Methodist University. Her principal teachers have been Kathleen Reynolds and Will Roberts. Ms. Griffith has also served as a graduate teaching fellow at the University of North Texas where she is currently working towards a Doctor of Musical Arts. At the University of North Texas, Ms. Griffith’s teaching responsibilities included applied lessons, extensive chamber music coaching, and intensive reed-making courses. Ms. Griffith’s previous teaching experience also includes applied woodwind lessons and music theory at Grayson College as well as a large private studio in the DFW metroplex. 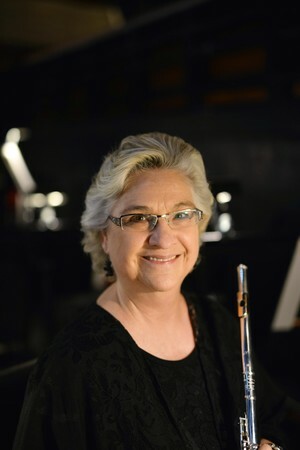 Ms. Griffith is an active freelancer and has performed with numerous ensembles including the Dallas Opera, Dallas Wind Symphony, Shreveport Symphony, Longview Symphony, Plano Symphony, Irving Symphony, Sherman Symphony and the Orchestra of New Spain. With a related field in early music performance, Ms. Griffith has participated in the Boston Early Music festival, performing on baroque bassoon. Ms. Griffith has participated in numerous recordings on the Klavier label, and her recording of Beethoven’s Fourth Symphony has been used in bassoon master classes at the New World Symphony and the Royal Academy of Music. Ms Griffith is a member of the International Double Reed Society, and TMEA. Ling (Holly) Hang, a native of Taiwan, earned her Master of Music degree from the University of North Texas, where she studied clarinet with John Scott and collaborative piano with Steve Harlos and Berthe Odnoposoff. Holly was a member of the UNT Wind symphony, the UNT Collegium wind-conducting workshop, and can be heard on the 2012 through 2014 recordings by GIA publications. She currently teaches in Denton ISD, White Settlement in Fort Worth, Founders Classical Academy of Flower Mound, and is an active collaborative pianist throughout the Dallas/Fort Worth area. In the collaborative piano field, she specializes on instrumental works, and has performed a number of recitals at UNT. Currently she is an accompanist for the Immaculate Conception Catholic Church. Jake Hale is currently the principal clarinetist of the Shreveport Symphony Orchestra. He has performed as the second/Eb clarinetist of the Waco Symphony Orchestra and has performed with the Fort Worth Symphony, the Corpus Christi Symphony Orchestra, the Odessa-Midland Symphony Orchestra, and the Round Top Festival Institute Orchestra. Mr. Hale has competed in the International Clarinet Association Competitions making several appearances as a semi-finalist and finalist. In 2015, he won the Orchestral Audition Competition and the same year made finals in the Young Artist Competition as the only American to advance. Jake Hale is from Fort Worth, Texas. He studied with Richie Hawley at Rice University where he completed a Master in Music Performance in 2018. He received his undergraduate degree in Music Education at Baylor University in Waco, Texas where he studied under Dr. Jun Qian, Dr. Vanguel Tangerov, and Alan Olson. While at Baylor, he played in the final round of the Baylor Concerto Competition in 2014 and 2015 and his woodwind quintet, Connect5, advanced to the Semi-finals of the Coltman Chamber Competition. Jake has also studied with Dr. Richard Shanley and Ivan Petruzziello of the Fort Worth Symphony. Jake enjoys exercising by running, swimming or playing basketball. When he isn’t performing, he enjoys teaching his clarinet studio in Texas. Jake is an avid sports fan and during the football and basketball seasons, he supports the Baylor and DFW sports teams. He owes his success to his friends and supportive parents who give him inspiration to create and to pursue exquisite music making. Seth Galtier is an accomplished trumpet player and instructor located in the Dallas-Fort Worth Metroplex. He is originally from Southeast Louisiana. He has taught private lessons in several school districts and private institutions in the DFW area for over three years. He currently teaches in Frisco ISD, Northwest ISD, and Founders’ Classical Academy in Flower Mound. Mr. Galtier received his Master’s Degree in Trumpet Performance from the renowned University of North Texas. Prior to attending UNT, he received his Bachelor’s Degree in Music Education from Southeastern Louisiana University. He has an extensive lineage of trumpet pedagogues. His primary teachers include Bert Truax, Keith Johnson, Allen Vizzutti, Dr. Jason Bergman, John Holt, and Dr. Logan Place. While at UNT, Mr. Galtier has performed in the highly acclaimed Symphonic Band under the direction of Dennis Fisher and the Wind Ensemble under Dr. Nicholas Williams. He has also performed with Southeastern’s Wind Symphony under the direction of Dr. Glen Hemberger. Mr. Galtier remains active in the freelance scene in DFW playing in various ensembles, churches, and cover bands. Aside from playing the trumpet, Mr. Galtier is also the lighting technician for the band Memphis Soul, who has performed for dignitaries George W. Bush, Greg Abbott, and Ted Cruz. In his off time, Mr. Galtier is an avid golfer and enjoys fishing and hunting back in Louisiana. 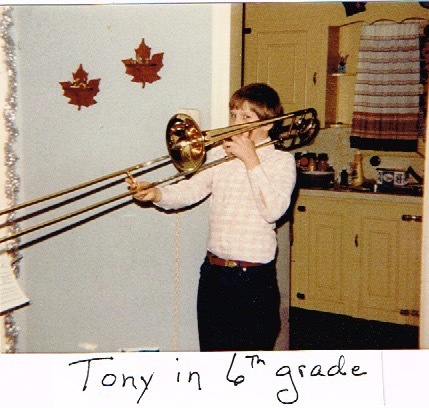 Tony Bianchetta is a freelance professional trombonist and private lesson teacher. He lives in McKinney with his wife and two boys. Currently, Tony has an extensive and highly successful lesson studio. With 30 years of teaching experience, his students are considered some of the most talented trombonists in the state of Texas. Just this past year, many of his high school students advanced to the All-Area competition including one that advanced to the prestigious All-State competition placing 2nd overall. For 6 years in a row, at least one of his middle school students won first chair overall at a Middle School All-Region Band competition. Over the years, dozens of his students have won positions at All-Region, Area and State competitions. At one point, two of Tony’s students placed 1st and 2nd chair overall at the All-State competition multiple years in a row. He’s had numerous four year All-State students. Students in his studio have also been very successful at their Solo Competitions. This past year, many of his 6th-12th grade students earned Outstanding Solo awards. He also had a student win the McKinney ISD Concerto Competition for the 2nd year in a row and win the state-wide Trombone Summit High School Solo Competition at TCU. Many of his students have and continue to pursue a career in music as band directors and/or professional trombonists. In addition to private lessons, Tony has 4 years of experience teaching at the college level as a Director of Bands and Brass Professor. He also was a head band director for 6 years teaching 6-12 grade bands. As a freelance professional trombonist, Tony has been performing with professional orchestras, jazz bands and other professional groups throughout the Midwest and Texas for the past 28 years. In 1998, Anthony was a finalist for the prestigious Zellmer-Minnesota Orchestra International Orchestral Excerpt and Solo Competition. He has been the winner of three concerto competitions, has soloed with numerous ensembles throughout the Midwest and has toured much of the United States and multiple times throughout Europe as a soloist, clinician and conductor. Recently, he performed with the Imperial Brass at the prestigious Cancer Blows concert series and recorded with the Dallas Winds for their next CD (Asphalt Cocktail: The Music of John Mackey). Tony performs on tenor, alto and bass trombones. At the age of 17, Mr. Wenck auditioned and won a position as tubist with the 501st United States Air Force Band, Biloxi, Mississippi. While stationed in Biloxi he performed with the Wind Ensemble and Brass Quintet for military and civilian audiences throughout the southwest United States. In 1981, Mr. Wenck was transferred to the US Air Forces Europe Band stationed in Einseidlerhof, Germany. As principal tubist with the Concert Band and Brass Quintet he was featured as a soloist in Concerts throughout Europe. Mr. Wenck also doubled on electric bass with the Concert Band. In 1984, Mr. Wenck enrolled in the University of North Texas majoring in Music Theory with a concentration in Tuba performance. He graduated with a Bachelor of Music degree in 1984 then continued Graduate studies at the University of North Texas for the next few years. In 1984 Mr. Wenck became a member of the Air National Guard Band of the Southwest currently stationed at Carswell Field, Fort Worth, TX. During his 26-year career with the band he performed hundreds of concerts world-wide as a tubist with the Concert Band and Non-Commissioned Officer in charge of the Brass Quintet. Mr. Wenck also performed as the electric bassist with the Popular Music Ensemble and string bassist with the Concert and Jazz Bands. In addition to performing concerts and military ceremonies throughout Texas, Louisiana, and Oklahoma, he toured in Hawaii, Czech Republic, Greece, Italy, Vanuatu, Bolivia, Nicaragua, Trinidad, Barbados, and St. Lucia. His last tour with “Live Round”, rock band with the USCENTAF command, included shows for US armed forces members stationed in Qatar, Iraq, Afghanistan, and Djibouti. Throughout his service with the Air National Guard, Mr. Wenck performed as a member of Active duty USAF Bands when they were short of personnel. He has performed tours on tuba and bass with USAF Band of the Pacific, Anchorage, Alaska, USAF Band of the Reserve, Robbins, Georgia, USAF Academy Band, Colorado, and USAF Band of the West, San Antonio, TX. Mr. Wenck retired from the US Air Force after 32 years of service in 2010. Mr. Wenck has taught tuba and euphonium students in some of the most successful band programs in the North Texas area. Since 1988 he has taught in Duncanville, Richardson ISD, Carrolton-Farmers Branch ISD, Denton ISD and Garland ISD. During that time 24 of Mr. Wenck’s students won positions in Texas All-State Bands and Orchestras. Many were chosen Outstanding Soloist at the Texas State Solo and Ensemble Contest. In 2008 Mr. Wenck began teaching in Frisco ISD. He currently teaches students at Maus, Fowler, and Cobb Middle Schools as well as Heritage, Independence, Liberty, Lebanon Trail, and Wakeland High Schools. His students have consistently won positions with All-Region and All-State bands as well as the Greater Dallas Youth Orchestra. Many of Mr. Wenck’s students have been accepted into music programs at Colleges and Universities including University of North Texas, Baylor University, Texas Tech, and SMU. Mr. Wenck lives in Denton with his wife Rebecca, their dog Rusty, and cat Patches. He is an avid, my wife says rabid, golfer. Yi-Jan (Rachel) Liu holds a doctorate of musical arts degree in percussion performance from University of North Texas where she also received her master’s degree. She has studied with Mark Ford, Christopher Deane, Robert Schietroma, Paul Rennick, Ed Smith, Ed Soph, Pei-Ching Wu and many other prestigious musicians. Since in Taiwan, Dr. Liu has been an active musician working with many wind ensembles. Not only performing as soloist, she has played orchestral/band percussion, chamber music, and percussion ensemble. She also participated in the only drum corps in Taiwan, Taipei Yueh-Fu and later became the instructor of the group. During her time at University of North Texas, she participated in numerous percussion ensembles and played in the world renowned UNT Wind Symphony under the direction of Eugene Corporon with which she participated in recording projects with. Dr. Liu has performed with world-renowned artists such as Japanese marimbist Keiko Abe and French organist Maitre Jean Guillou. She has also presented recitals, clinics, and master classes at several universities such as University of Tennessee and Utah State University. Besides Western music, Dr. Liu is interested in world music and is especially inspired by Taiwanese music, Balinese music and Chinese traditional music. She plays a few Chinese percussion instruments such as Si-quai and Chinese drums and has travelled to Bali to learn Balinese traditional music, gender wayang. She composes and arranges music that incorporates elements from these countries’ musical styles. She has formed a percussion/piano duo with pianist Mei-En Chou. Their duo mainly performs music in fusion style of Eastern and Western Music. Dr. Liu also has significant teaching experience at different levels ranging from college to high school and middle school. She served as an Adjunct Professor at Tarleton State University in Stephenville, Texas. Currently, she teaches percussion lessons at both the middle and high school levels in the Dallas-Fort Worth metropolitan area. Her students have performed very well in a variety of musical arenas, earning accolades at solo and ensemble competitions, playing in major ensemble concerts, and achieving very high rankings in auditions with organizations such as the Texas Music Educators Association. Several of her high school students have been accepted as music majors into universities with renowned percussion programs. Dr. Liu is endorsed with Innovative Percussion. Private lessons are an opportunity to study privately with a professional musician. These professionals provide detailed, specific, one-on-one instruction tailored for your child. Private lessons challenge the advanced students and accelerate students who need extra attention. Private Lessons are taught at Fowler Middle School either before, during, or after school depending on the teacher’s schedule. Lessons are 30 mins per week at a cost of $20 per lesson. The student pays the teacher directly, in advance, either two weeks or a month. Due to our school class schedule, students taking lessons during the school day (band time) will only receive a 23 minutes lesson each week. For these students, they will continue to be charged the same $20.00 as during class lessons are a convenience to parents who work. If you do not want to have a during class lesson, please let your teacher know that you would prefer a before or after school lesson. Communication is key. A clear majority of our private teaching staff teachers are graduate students and/or degreed professional musicians who subsist solely from performing and teaching. Some of whom give of their time to drive from Denton (some as many as 3 times per week) to help us become great musicians! For a few of them, teaching at Fowler MS is their sole source of income. When a student forgets their lesson, does not show up, or is ill and does not notify the teacher, it negatively impacts these people. After the second unexcused absence (no-show), the private teachers have been authorized to charge a student for a missing lesson without proper notification (24 hours in advance). With proper notice, teachers can rearrange schedules and not lose money.